Exit the Eastgate years! Long live to the Quantum years! 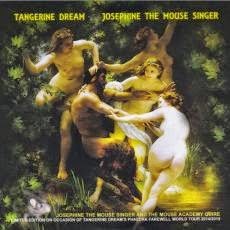 Unless a situational turnaround, “Josephine the Mouse Singer” should be the very last thing to pop out of these famous years when the income of Tangerine Dream will never have mopped the expenses. And this in spite of all those re-editions, the live albums, the so best-of, Booster and finally the Cup-Discs. Voices in the Net establishes that this “Josephine the Mouse Singer” is the 7th C-D of this edition. I counted 10, but I am rather going to come round to this excellent reference site on Tangerine Dream. We speak, we chatter! But of what returns the music of this last Cup-Disc? Distributed in limited edition (there is still some left in the Eastgate factories) “Josephine the Mouse Singer” was initially offered during the European Phaedra Farewell Tour 2014 and follows at the same time the main line of the last works from the Dream, in particular the Sonic Poem Series, being another poem of Franz Kafka. "The Four White Wooden Horses" establishes a mood of darkness deliciously tamed with an obsessing slightly chaotic rhythm. A rhythm which merges its erratic jolts into the tails of unbridled movements of sequences as well as ones with organic tones. Just as well mesmerizing, the melodic membrane leaves all the room to the rhythm and frees delicate evasive chords while that a kind of African voice is singing some delicate tribal hymns of which the certain charms are merging to absent voices and very nostalgic synth breezes. 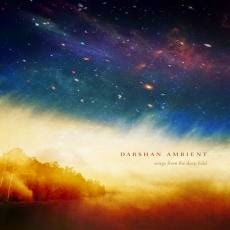 This voice returns on the title-track which presents an ambient intro with synth lines which seem to draw a horizon to the colors of our imagination and which are clubbed by good percussions. Gradually the rhythm of "Josephine the Mouse Singer" is structuring itself around notes of a very pensive acoustic guitar. This rhythm stamped of melancholy adopts gradually the approach of a gallop from a solitary cowboy where we see the rider of deserts fading at the horizon. A little bit as the ending of a western movie where the credits unfold before our dreamy eyes. I quite enjoyed these two tracks, just as "The Bleeding Angel" which is a beautiful and very melodious down-tempo with a wrapping veil of melancholy. The effect of crescendo assures that our feelings follow the very poignant curve of this beautiful black ballad. We stay in the line of ballads with "Center of Now". A kind of ambient ballad, even morphic, which offers a rather nebulous approach and a structure which is complicated enough. There is too much in it to highlight anything that sounds appealing. It's like having too much to eat and not having something great to gulp. I do believe that one has to like the intense and black classical moods to appreciate to its full measure Edgar Froese's arrangements on "Arcangelo Corelli's La Folia", which is a music written by Arcangelo Corelli. I cannot really pronounce, absolutely not knowing classical, but I found the arrangements, as well as these sequences which revolve and flicker all around this subtle movement of crescendo, as incisive as a descent in an alienation. We can't find anything wrong on this new (last?) Cup-Disc, which would easily have been able to be of use as springboard to this continuity of Franz Kafka's works put on music in Tangerine Dream's Sonic Poem Series. And I am fascinated by this doggedness, this perseverance of Edgar Froese to continue his work of creation. If it's true that we can criticize the orientations which he imposed to this cult band, we cannot deny that he has a great deal of talent and that his impact is as much necessary than it was essential in the development of EM. In fact Edgar, I would just want to tell you thank you... And long life to these years Quantum! A sinuous curve pierces the horizon. A mislaid chord falls. A fluid movement of bass sequences is slightly galloping and draws a soft and warm undulatory rhythm. All this, marinated to riffs and electronic spirals falling into electronic gas, leads us back to the nice time of Tangerine Dream. Only the fragile harmonies and the artificial voices annoy the ear and return us to the more contemporary years of Edgar Froese's works. The 5 minutes of "Place of Conclusions", to a few exceptions, dig up the rhythms, the atmospheres and the harmonies of this Edgar Dream's new album. An album which literally set ablaze the fans and scribbled the social media networks of laudatory remarks, while putting bootleggers to work, because “Grand Auto Theft 5” is available only in 2000 copies and only at the electronic shop of Eastgate. A whole version, with a gigantic amount of music and moods inherent to the famous video game, is also available. One can find it if we search minutely on the Net or on specialized sites (I heard it and I was not really crazy about it). At the beginning, I was rather sceptical. It is when I saw the game in action that I made the link. And when I took time to hear “Grand Auto Theft 5” closely, I came to the conclusion that Edgar is still very creative and that he still has some very good music in him. "Streets of Fortune" offers a structure of sequences with a diversity of tones and strikes which forge an ambitious pattern of stable electronic rhythm. It is the harmonies which lug around this rhythm among which the interweavings and the disordered jumps of sequences, and percussions, revisit the ambiences of the Flashpoint era with a light tint of modernity. If the harmonies of “Grand Auto Theft 5” inhale at times the lightness and smell the colors of honey, the movements of Edgar's sequences are striking and have nothing to envy to his former accomplices (I know; the technology is not the same here). You just have to hear the very wriggling "Burning the Bad Seal" or yet the stunning "Diary of a Robbery" which has downright ate up a huge part of Silver Scale. Very good! "Mission Possible", as "Draw the Last Line Somewhere" and the very good "The Dangerous Mile" are closer to the contemporary TD with moods and sneaky rhythms which would have been able to find a place on the Sonic Poem Series saga or still on Edgar's solo works. "Downtown Los Santos" offers a mixture of electronic percussions, kind of Iris Camaa bongo drums style, sequences and riffs out of Edgar's six-strings over two interposed structures of rhythms that left me of ice. This is a repetitive electronic rock without flavors nor colors, contrary to "Sadness, Grief and Hope" which sprinkles its redundancy of subtle nuances. "Blaine County Sunrise" is a sweet electronic ballad, dark with beautiful arrangements and which follows a light crescendo with harmonies charming subtly in aquatic tints. The same goes for "Beyond the Weakest Point", halieutic effects in less, where the bongo drums percussions erase not at all this delicate dreamlike approach introduced by a delicious Mellotron and its Arabian flutes. When I say that Edgar still has some good music in him... "Living on a Razor Edge" is another dark ballad which unifies marvellously both poles of Tangerine Dream. The somber rhythm, which climbs the curves of a relatively slow tempo, gives all the latitude to Edgar to let stroll the vibes and the harmonies of a very nostalgic six-strings and of its very evasive solos. Some will say that Tangerine Froese has dived into the ease. That “Grand Auto Theft 5” was made from old recipes skillfully updated in Edgar's workshops without regard for any originality. This just shows that no matter what the old fox makes, he always has the spectres of Baumann, Franke and Schmoelling on the shoulders. I am of those who think of the opposite. 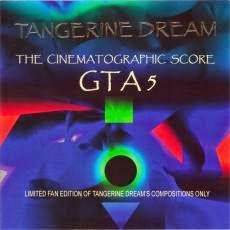 “Grand Auto Theft 5” is a good album which releases a delicate sonic perfume borrowed both in the old TD and the one more contemporary and closer to the great moods of the Sonic Poem Series. This is some great Froese that lands between our two ears. The old fox uses his wisdom and his experience to well measure his ambiences. To play with and annex them to rhythms and to melodies which follow skillfully all the nuances which make the strength of solid cinematographic music. Yep, “GAT 5” is definitively up to what we can expect from one of the big pioneers of the contemporary music. Hat to you Mister Froese! The fans of Airsculpture are cherished recently. Graveyard Shift, Hairsculpture and now this last John Christian's album. Except that there is a whole world of difference between these two works from Airsculpture and this “Dark Matters”. And even more between Christian's last solo album, Susbarbatus released in 2009, and this universe of cabalistic meditation that is “Dark Matters”. This very dark ambient opus breathes entirely by the impulses drones and reverberations, as well as some strange frictions which drum some vague and completely non-existent structures of rhythms, of which the pushes weave tenebrous ambiospherical patterns as much black as the infinity without its stars. Lovers of deep and surrounding dark ambient music; you are going to love this one. "Domino" unfolds its black breezes with parsimony. The matter takes time to take shape and to generate its magnetic field which draws its strength throughout the multiple reverberations and of its impulses which feed these tremulous hoops to form the axes of the somber ambient melody of "Domino". We are really in the dark. In the limits between the cosmos, because of the heavy effect of weightlessness, and the abysses, because of the disturbing atmospheres bordering the darkness. I mention this because this impression to embrace the darkness is strongly present throughout “Dark Matters”. Let's take "Blackwater"! A wide wall of impulses from black shadows, and their Mephistophelian breaths, draws a slow floating movement where are well sitting reverberations and noises, all tinted of black, which are caressed by a delicate sibylline singing. This mass of dark lines amplifies the density of the movement, while the spectral singing stands out with a refulgence which is near the darkened lyric. Disturbing and not very relaxing for two cents, "Collision" is clearly more ectoplasmic with a symphony of singings from spectres whose howlings shape an ambient movement which lives through these profound ghostly voices. In all this frenzy of howling metal, the structure of "Collision" digs a bit in the dark nuances of "Domino". After an intro stuffed of rippling synth waves to the colors of enigmatic, "Halo Tenebrous" brings the only pulsating flow of “Dark Matters”. Under forms of beatings rather accelerated, this pulse pounds with a surprising greediness for its survival in a dense cumulus laminated of acrylic lines. 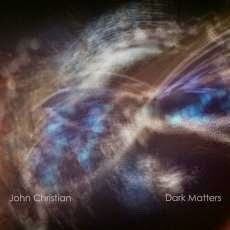 Traced in this pond of rippling lines which inspires the black ambiences of “Dark Matters” and which wave weakly in intersidereal winds, "Shudder" offers the most serene moments on this last John Christian's album which is a pure ode to a solitude tortured by its dark thoughts. 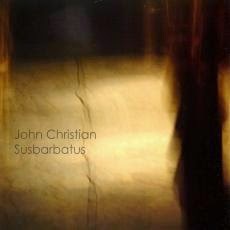 John Christian is a member of the England EM band Airsculpture and in “Susbarbatus” he presents us here a strong 2nd solo opus filled by heavy and lively rhythms that has nothing to do with the long ambiospherical improvisations of the English trio. It's with a fleeing and flickering synth wave that the title track opens. A morphic synth veil which zigzags lazily launches "Susbarbatus" where choirs and mellotron moods are floating in an ethereal universe before embracing a beautiful sequenced movement coated by a sweet rhythmic of a bass line. Growing in strength, this tempo bites the ears and progresses in a captivating cloud of strata whereas a synth, with some pretty melodious solos, spreads its ambient harmonies beneath the weight of a hammering sequential approach, bringing a very progressive dimension to this beautiful and catchy Berlin School track. This is a very nice opening which leads us to the dramatic and intriguing "Los Ashes". Divided into 2 sections, "Los Ashes" opens with a bass line taken out from hell which pulses with a hypnotic slowness in a strange cataclysmic universe. The approach is dark and near TD soils with a pace which flows between two rhythms and under the ochred pads of a synth and its sibyllin charms. This criss-crossed rhythm is suspended at the middle route to give way to a sound passage which scrolls by pieces, like a panoramic vision of images coming from a kaleidoscope. Images in sound which accelerate constantly a pace whose madness dives into the rhythm of a heavy movement of sequences of which the strikes of beats are multiplying in a kind of drummed chaos. This intense hammering movement is filled a pile of synth layers which gobble up "Los Ashes", like waves gobbling up the cliffs. This is a great track, at both times hypnotic and striking. The heavy drones of "Brane Storm" brings “Susbarbatus” back to the ambiospherical moods of Airsculpture, but with a darker and obscure approach. After this somber cerebral interlude, "Forest of Weaver's Beams" falls straight in our ears like a sonic drop which crosses both hemispheres of our loudspeakers. This has to be the most beautiful track on “Susbarbatus”. It goes smoothly on a superb synth, and its tearful waves, and a sequencer with its flow fractured by echoing chords which unwind such as a timeless sonic spiral. Not really a lively track, but nor devoid of beat either, "Forest of Weaver's Beams" enchants with its continual knockings which hammer in an ambivalent structure where the musical poetry is fitting to a creative sequencer. I really hooked on that one! Recorded in concert at the 2006 Hampshire Jam, "Mangrove" spreads its moods with a dense mix of scarlet strata and their echoes which get lost in an aquatic environment. A heavy and sharply nice sequencing embryo emerges out of this intro to draw a breathless rhythmic which rolls under an exhilarating synth whose sonic forms adopt a sweet ghostly madness. "Antiquark" ends “Susbarbatus” by a sweet minimalism melody which sails between some soft sequenced keys a la Love on a Real Train combined to the atmospheric approach of Wavelength, both music scents by Tangerine Dream. We cannot love that one! “Susbarbatus” is a strong EM album. It's only default, if we can call this a default, is its length. It's too short, compared to what most artists present us since the venue of CD. As one says, small but mighty! John Christian lugs us around in a sonic universe fills of catchy sequences which beat on different paces and beneath the highly melodious sounds of synth and mellotron. Like what EM can be as well beautiful than intrepid. The fans of Berlin School are going to devour that one. It had been a long time since we had had some new music of Airsculpture to be put between ears. Namely since the striking Trick or Treat?, released in 2009. And, astonishment, there is a certain parallel to be made between both opuses. 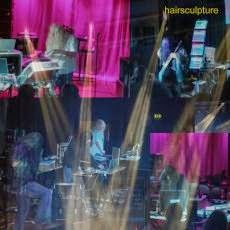 Recorded during the Hampshire Jam 7, that of the 2007, this “Hairsculpture” breathes on the same furious rhythms that we found on Trick or Treat?, In fact, both albums are closely linked to the outstanding Doom Bar, released just at the beginning of 2009. At that time, it was supposed to be the very last Hampshire Jam. And to underline this last lap, Airsculpture, which was in all the HJ events I believe, gave an encore while wearing very colorful wigs. From where this superb pastiche and very caricatural album naming, which is reminiscent of a certain concert from Tangerine Dream at the beginning of the 80's. The mechanism of a clock attracts our attention straightaway. These jingle get lost in a beautiful melodic duel between a piano and a guitar, both dreamers. The last notes are fading in the sweetnesses of Mellotron violin strings, and also in heavy reverberations. Sequences appear behind this curtain of paradoxes. The movement is heavy. The keys jump and run in oscillating waves, shaping a dark rhythm which waves with swiftness beneath a shower of other sequence keys as well as chords, riffs and pads of a mix of keyboard, synth and guitar retrieve in the void. From dreamer to heavy and furious, "Flüssiger Vier-Takter" rolls like a violent analog storm where dark and lively sequence chords are dancing and running free, with their doubles, on a wild structure of rhythm. These infernal four minutes end in the musing of a piano, and of its winged accomplices, which takes back its rights on this track with the support of a synthesizer of which the distortion singings are flowing under the severe shadows of the reverberations. We cannot stay insensible towards this first track which opens one of the great classics of modern EM. Under the Dome is a name forgotten in the firmament always well furnished in the Berlin School style, seasoned with a zest of the heavinesses of England School. This English duet, consisted of Grant Middleton and Colin Anderson had seduced the fans of the genre in the late 90's and the beginning of 2000 with 2 strong opuses; “The Demon Haunted World” and Bellerophon, whom I have not heard yet, which are part of those inescapable of the contemporary EM. 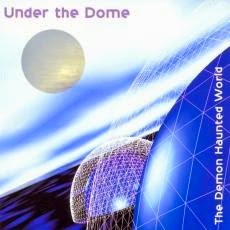 And, according to me, “The Demon Haunted World” is as much a classical album as the wonderful Impulse from Free System Projekt and all those alike. Chronicle of an album forgotten and disappeared in the stride of the extinction of CD. A must have, as we say! The vibes are heavy throughout this “The Demon Haunted World”. Winds and their prismic particles are dancing with reverberations, when it is not with waves of Mellotron and their violin harmonies or the seraphic voices and their wounding singings. It's this sonic texture which opens the wonderful "The Aeon's Day". We float with the rippling winds which have caught a fascinating symphony of birds songs a little bit variegated. These esoteric elements evaporate little by little once that we have crossed the point of three minutes. A beast is waiting for us there and it snores some heavy reverberations. This fascinating meshing of white and black is raging all over “The Demon Haunted World”, as well as this pattern of dark rhythm with a strongly analog fragrance. Here, this rhythm hatches around the 4th minute spot. It makes its keys dancing with bells, uniting once again the shadow and the brightness in a structure of so harmonious rhythm that we almost forget the delicious solos which decorate it. The dance of sequences with lively and criss-crossed keys is sublime. It structures a figure of rhythm which goes up and down with so much subtlety that this pattern, all the same rather minimalist, seems to redo its skin at each bend. The symphony of bells is as well very attractive. And like all good Berlin School, the sustained rhythm is shucking its chords in a delicious bad patch where some uncomfortable winds are roaring in the wings of a static rhythm which flicker on the spot, like a dragonfly hypnotized by the beauty of a jonquil in a swamp. We don't sleep! Our fingers drum the rhythm of the stationary sequences while our ears follow the singings of the winds and of the synth lines with their soft dreamy spirals. The pace still goes up and down. It seems to stop and restart immediately in a rich ambiospherical passage which brings us back to the snores of this invisible beast at the beginning. You know Rush's Xanadu? We enter there! The 16th minute of "The Aeon's Day" is completely delicious with cow-bells kind of percussions which ring in some disturbing winds, but also in an attractive mellotron melody. The moods are heavy. Our senses observe a somber evolution which explodes with a rhythm as heavy and lively. The skin has changed, but the noisy and lively approach remains the same. Sequences are heavy and explode of a new vitality in a rich ambiosonic structure where solos and dusts of stars are lost elements that will get through "The Aeon's Day" and of its structure that will discard its last jumps in a kind of interstellar peace. We have just crossed 30 delicious minutes when "The Bridge" accosts in our ears with a weighty ambiospherical intro. A Vangelis intro with majestic breezes of synth which sing, with so much melancholy, in dark winds and sound brightness to tones of scarlet prisms. The ambiences are tinted of black while a wild rhythm is kicking while changing quite slowly to adopt an oscillatory shape. Being so of use as rampart to solos of synth and guitar in tints and forms as much colorful as the interbreeding of the roarings which gets out of it. It is the least harmonious and the blackest track of “The Demon Haunted World”. These moods of perdition go back to the opening of "Hell" and its sibylline choir which has stuffed our ears of a heavy veil of howling metals. We are heading towards hell. In the uncomfortable zones of Force Majeure. Astonishingly, an astral passage waits for us down there. And a kind of quarrel between both entities, with some airs which sound like Pink Floyd's Shine on you Crazy Diamond is going on. A movement of sequences, curt and vigorous, shakes the ambiences whereas superb solos reinvent "Hell" and its structure of rhythm which sparkles of its meshing of bass and prismic sequences. This is as lively as very melodious. And this even if the music deviates towards more psychedelic territories, with very TD guitar riffs which are biting the solos and crush down the fluttering of sequences. This is hard and pure electronic rhythm which quietly goes towards a more astral passage where the influences of Vangelis re-appear with beautiful tearful lamentations which pour their sorrows into beautiful veils of Mellotron. Simply magic! And as nothing is commonplace, or ever completely finished, a soft fluty melody goes out of these seraphic limbs. I hear Spiral from Vangelis here. These last breaths bring to us all slowly a superb melody, as cheerful than quite virginal, that nobody expected. And as nothing is commonplace, or ever completely finished... Heavy guitar riffs and piercing synth solos bicker for this innocence which was just only the reflection of our listening. Monumental! And it's like that, all over this album that you absolutely have to discover. 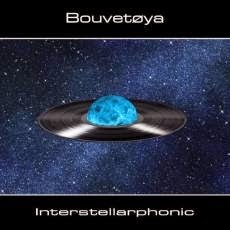 It's in the intersidereal sweetnesses that begin this 2nd album of Bouvetoya. Foggy synth pads and ambient choirs stretch an astral tune with delicate intonations which break a possible dullness. Chords roam in these cosmic mists, reminding The Dark Side of the Moog IX, from the Namlook/Schulze tandem, which gets lost in the ambient fogs of Pink Floyd and of its Wish You Were Here. Other chords are grafted. They waddle stealthily and their ricochets dance with their shadows. The rhythm of "The Dawn of the Interplanetary Nation" is silhouetted with the most beautiful assets of the minimalist movements. The keys are walking faster and agglutinate in a jerky movement which is growing beneath synth riffs a la TD and twisted synth solos a la Pyramid Peak. Following a delicious evolution, and gather together here and there all the ingredients which built its charm, the beat of "The Dawn of the Interplanetary Nation" increases the cadence, modifying subtly its intonations, to adopt a rhythmic ride of which the pace, more and more accentuated and more and more jerky, runs beneath a salvo of solos and its curves as much coiled up as its ectoplasmic chants. Contrary to Subtractivate, the 60 minutes of “Interstellarphonic” is balancing between the mesmerizing charm of retro Berlin School and the most hypnotic one of New Berlin School. We are at a sonic crossroads where Schulze nd TD are meeting the more hypnotic moods of Software and Pyramid Peak, but in a morphic envelope which calls back Neuronium's moments of ether. It's what jumps to ears with "26 Prosperina" and its long sleep-inducing intro adorned of cosmic choruses and of dusts of prism. Some fine intonations modify the colors of this slow ambient procession which quietly derives towards a more interstellar phase where a mix of cosmic chirpings and black reverberations converge on heavy synth pads to the tones of old organ. These first 10 minutes pass rather well. The sound wealth of this intro is such as that our ears remain captive. And it's doubtless for that reason that the heavy movement of waddling sequences seems not that far. Rather simplistic, but very catchy, this portion of rhythm in "26 Prosperina" is waving like the walking of a big goblin. A magician of heavy steps who moves his keys with grace and suppleness, while taking good care to amass here and there pearls which make noise in pads and solos with the flavors as well vintages as contemporaries. It's black and heavy, as if we would mix Tangerine Dream to Arc. "Radio Jupiter 22:2 MHz" presents a more chthonian intro with dark choruses and their passive monasterial singings which float in the mysticism of the rippling synth waves. Beautiful airs of flutes invite themselves in this intro where a fascinating effect of echo adds a depth to a track which leaves the abyss in order to inhale a more cosmic Jarre approach. Lines of rhythms emerge. Their sequences are champing at the bit. Their bass tones run in all directions. In a figure of static rhythm disordered and rocked by astral synth waves and pecked by cosmic sound effects. The rhythm gets free, bite by bite, of its cocoon of ether, accelerating a cadence which displays big zigzags which are always trapped in a heavy cosmic vibe and of its sometimes very quirky sound charms. "The Pillars of Star Creation" follows the philosophy of ambiences versus rhythms which enriched the first 3 tracks of “Interstellarphonic”. Darker and noisier, the intro always abounds of these synth pads and chthonian choirs which float among those still twisted solos as well as in chirpings and glaucous pulsations. The rhythm, more delicate, turns up at around the 9th minute. It precedes a delicious moment of meditation with beautiful organ tones pads and follows the lunar curves of those exhilarant movements of Klaus Schulze on Body Love. This is very beautiful. "Heart of the Magnetar" ends Bouvetoya's second album with another delicate morphic intro where hot breezes are singing charming spectral airs. Heavy reverberations eat up this delicate phase of serenity, plunging "Heart of the Magnetar" into a sordid sonic universe where the strength of the movement lies in its intensity. An intensity fed by pulsations and by impulses and whose meshing is drawing a fascinating and powerful ambient rhythm. No, Subtractivate was not a hitch, nor a stroke of luck! This small project of EM out of the Norway lands mixes talent and creativity in a musical pattern to which we grant that very few chances to surprise. Yes vintage Berlin School will always seduce, but to surprise? This is not still obvious. And nevertheless, Bouvetoya reaches it. “Interstellarphonic” distinguish itself with a delicious crossing between these two kinds of which the antipodes live with moods a little more progressive and where the Gothic and the cosmic are allies to set ablaze rhythms in the forms and the tones each time different, each time very attractive.